Imagine a loved one disappearing and not knowing where they are. It's the reality for about 4,000 families across the state. 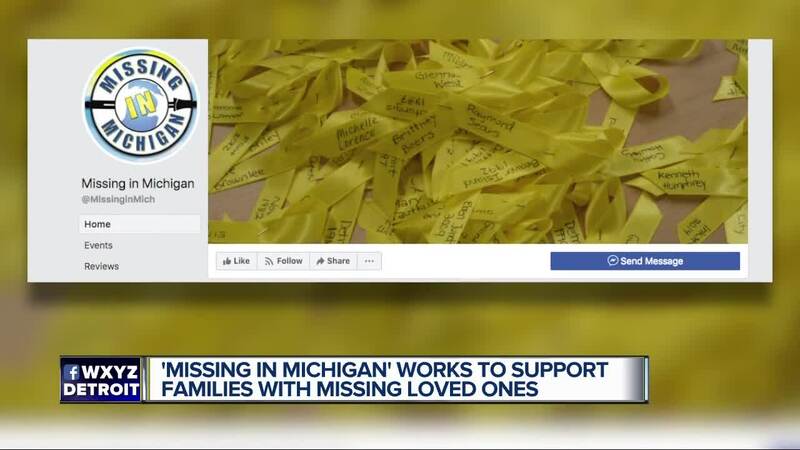 Missing in Michigan is focused on helping those families find their missing loved ones. ROYAL OAK, Mich. (WXYZ) — Missing in Michigan is hosting a fundraiser to benefit the organization. The nonprofit organization assists law enforcement and families of missing persons to help locate loved ones. Action News' Anu Prakash will be emceeing the event on Thursday, Feb. 14 from 6 to 10 p.m. at the Royal Oak Farmer's Market, 316 E. Eleven Mile Road. The event titled, "The Greatest Fundraiser on Earth" will include wine and beer tastings, live music by Global Village. There will be food trucks, silent live auctions and carnival games. Tickets are $30 and all proceeds go toward the Missing in Michigan Association.